We’ve had our two workshops and they were sensational. Our Members’ Exhibition is up for viewing, and our Juried Show is coming this fall. June 22-July 28, 2018: VPS Members’ Exhibition at The Chaffee Art Center, Rutland, VT.
We are currently celebrating, unofficially and without fanfare, the 1-year anniversary of the VPS Regional Hubs Initiative. In the past year, we can remark on several things that have occurred as a consequence of starting the hubs. First, regional artists are getting together more than ever with their pastel painting comrades, and sharing in a wide range of activities. Second, most of the hubs are having local shows of their hub’s artists’ works, or are talking about venues to show at. This means that instead of us having only two state-wide VPS shows a year, we now are more frequently promoting VPS artists regionally and having more opportunities to exhibit our work. Third, as this year’s Members’ Exhibition demonstrated, the hub, in the region where the show is taking place, works with Susannah and the venue to receive the paintings, to organize the reception, to photograph the event, and to help with taking down the exhibition. VPS MidState did a fantastic job with all parts of this task, and has set the bar high for the next hub—VPS SouthWest—in the fall with the Juried Show. Thank you, VPS: MidState for showing us the way and thank you VPS: SouthWest for taking the baton from them. Fourth, our membership is growing to over 100 members, and some of that growth is a result of the attraction of the regional hubs. In other Hub news, VPS SouthWest has added Shelli Duboff as a point person, joining Linda Masten. VPS UpperValley has another duo as point people—Kathy Detzer and Paula Dorr, taking over for Michael Shafer. Thank you Shelli, Kathy, and Paula for stepping up to fill this very important role for your hub. And thank you, Monica Hastings, Rodrica Tilley, Judy Albright, Linda Masten, Belle McDougal, and Kim Provost for being willing to stay on as point people for your hubs for another year. This continuity makes the hubs stronger and keeps our hub members more engaged. Amid the arpeggios and trills of the violin and piano, with floral arrangements on the many table tops, and hors d’oeuvres befitting a presidential banquet, the 2018 Vermont Pastel Society’s Members’ Exhibition reception took place at the Chaffee Art Center in Rutland, Vermont on Saturday, June 23 from 2 to 6 p.m. Hosted by executive director, Jim Boughton and his capable staff, the Members Exhibition was attended by scores of viewers–artists and art-lovers. An awards ceremony took place at 3 p.m., with the four attending board members reading off the winners in ten creatively-crafted categories, interpreted by respected Rutland area artist William Ramage, who stepped in as our judge when the original judge had an unexpected conflict. Special thanks to Susanna Colby and Louise Kenney who worked out all the many details of this fantastic show and reception, and to VPS MidState who coordinated the painting drop offs, the refreshments and reception, and were there to welcome the viewers, and to all the VPS artists who submitted paintings to this memorable 2018 Members’ Exhibition. September 29-November 17, 2018: VPS Juried Show at the Laumeister Art Center in Bennington, VT.
Susannah is finalizing the details of the show with the venue and will be sending out the official announcement very soon. Stay tuned! Here is what Linda wrote about Alain Picard’s workshop, April 23-27, in Bennington, VT: Providing a looser, painterly approach to landscapes and portraits, Alain limited his demos to instructions and encouraged artists to try new approaches. A lot of time was given to the 13 participants for painting; individualized attention was at a premium. High marks in all areas for Alain. Thank you to Linda Masten and Shelli DuBoff for arranging this rewarding workshop! Here is what Diane Sziachetka said about the Karen Margulis’ Workshop, June 21-24, in Hyde Park, VT: Making color vibrate in the landscape was the focus of the workshop, and vibrate they did as KM shared her expertise with our group of 16 pastel artists. Using observations from nature en plein air she demonstrated how to bring color into the studio and onto the paper. The participants had ample opportunity to paint and receive personalized guidance. The program ended with everyone sharing some of their work and personal goals achieved. Thank you to Diane Sziachetka and Patti Braun for making this sensational workshop happen! We want each hub to have 2 or more artists willing and able to post to FaceBook and Instagram for your hub, so contact your point person and volunteer to do this! All non-VPS matters (such as other workshop offerings, shows, sales, etc.) will be posted on the VPS FaceBook page, so check there if you are interested in statewide or regional matters not sponsored by the VPS. Cindy would like to give her webmaster job to another VPS member. Maintaining the site is not difficult, and she will teach anyone and be available to help anyone who is willing to take on the role. Please email me at goldpeak@vermontel.net if you want to help in this way. THANK YOU FOR YOUR CONTINUED PARTICIPATION IN THE VPS! We are who we are from the inspiration, creativity and energy that you all give to our organization. Keep it coming, as you keep on art-making! We have two tantalizing workshops scheduled this year, one just a couple weeks away. We now have a Members’ Exhibition and Juried Show set for 2018. Continue reading below for more information. June 9-July 7, 2018: VPS Members’ Exhibition at The Chaffee Art Center, Rutland, VT. Some hubs, like VPS SouthEast and VPS MidState are welcoming new members, meeting regularly, providing a critique opportunity to all artists who bring paintings to hub gatherings, and offering painting challenges, like paint-alongs with a black and white photo reference. Other hubs, like VPS UpperValley and VPS SouthEast are finding venues for exhibiting their hub’s artist’s works. VPS Social Media Teams—one or two members of each hub becoming Social Media Artists (SMAs)—are offering to photograph hub events, activities, shows and to post those images on FaceBook and Instagram. So far, VPS SouthEast, SouthWest, and Midstate, have SMAs. VPS Upper Valley artists are hoping to meet in the near future to discuss this. VPS Central has some savvy artists who understand FB and Instagram and have offered to be of help to their hub. Thanks again to those artists for helping to make the VPS Social Media Team a reality—it provides another way for individual VPS artists to help our organization succeed. Thanks to Michael Shafer (VPS UV) and Louise Kinney (VPS MS), for their suggestions and helpfulness, Susannah Colby (VPS UV) has secured us a venue for our Members’ Exhibition (ME) for 2018 in The Chaffee Art Center in Rutland, VT from 6/9-7/9/18. Details will be forthcoming, but like the last two MEs, we will be offering prizes in 9 categories, which are fun and open to each judge’s interpretation—like Most Lively Still Life, Going Gaga with Color, The Yin and Yang of Light and Dark, etc—so watch for Susannah’s upcoming emails and put a painting or two in this show! And once more, thanks to Susannah’s indefatigable spirit, we have a place for our Juried Show at Laumeister Art Center in Bennington, VT from 9/9 to 11/17/18. Specifics for this show will be arriving in early summer, so stay alert and paint a thing or two to enter. The Regional Hub’s Role: This year, we will be asking the Hub of the region that the show is taking place in, to help with the hanging, if needed, organizing the reception, and attending and photographing the exhibition reception and award winners. For the ME this year, VPS MidState will be the responsible host, and, for the JS, it will be VPS SouthWest. Thank you both in advance! Exhibitions Team: Because the responsibilities for putting on a show are numerous and sometimes quite involved, one person cannot do it all. Thankfully, we have generous VPS artists willing to give some of their time to join Susannah in this endeavor. So I want to thank those members who are helping this year: Louise Kinney will be joining Susannah in the organizational and communicational aspects; and, as they did the last two years, Pat McPike (VPS SE) and Deedee Jones (VPS SE) will be securing the prizes for the ME). Thanks to all three of you!!! Alain Picard’s workshop, April 23-27, in Bennington, VT, organized by Linda Masten (VPS SW), will be a combination of portrait-making for 2 days and landscape-painting for 3 days. Artists can take one or both parts. Only a couple weeks left to register, so do not delay! Karen Margulis’ Workshop, June 21-24, in Hyde Park, VT is being organized by Diane Szlachetka and Patti Braun (both from VPS CEN). Although this is a couple months away, please sign up soon if you want to assure yourself a place! 1) Our long-time Treasurer, Norma Jean Rollet, (VPS MS) will be moving to TN in April, and so will be leaving our board and will no longer be serving as our Treasurer. We wish her luck in her new location and thank her for the years of service she gave to the VPS. 2) Taking over as Treasurer will be current board member, Linda Masten. We are so lucky to have an artist member who is so qualified to act as Treasurer and is so willing to give of her time—thank you, Linda! 3) In a vote at the end of March, VPS members elected Jerry Ralya (VPS CEN) to the VPS board to complete the 2-year term that Norma is leaving (11/17-11/19). Thank you, VPS members, for voting so promptly, and thank you Jerry for being so agreeable to being on our board. 4) A couple weeks ago, our VPS Website was hacked. We do not know if any information was used by hackers, but as always we should not open anything spam-looking, but that should be true always anyway. Cindy Griffith, (VPS CEN) and a tech guy fixed the problem, and we bought more protection, but in the process, Cindy realized that she is not as qualified to do the high tech things that a webmaster should be able to do, so we are asking if there is a VPS member who can technically manage our website to either join her or take her place as webmaster. Please email me at goldpeak@vermontel.net if you want to help in this way. We are who we are from the inspiration, creativity and energy that you all give to our organization. 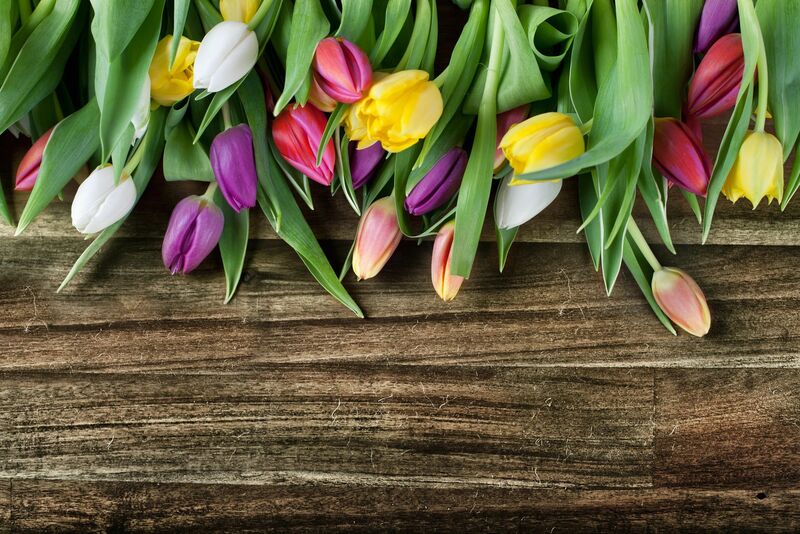 Let spring bring you all rejuvenation, renewal, and revitalization! A white lace curtain on the window was for me as important as a great work of art. This gossamer quality, the reflection, the form, the movement. I learned more about art from that than I did in school. We have two amazing workshops scheduled this year, one just a couple months from now. We have a members’ exhibition and juried show being planned for 2018, details to be announced. Some hubs are representing the VPS with regional shows right now; some are meeting monthly with informative talks, regular art-making activities, and critique sessions; and some have plans to rotate gatherings at hub members’ studios or houses with an activity idea offered by the hosting member. And they get reported on in Hub Happenings so we can all learn from and then make similar things happen in our own hubs, if we choose. The newest idea has been to create a VPS Social Media Team by having one or two members of each hub become Social Media Artists (SMAs), offering to photograph hub events, activities, shows and post those images on FaceBook and Instagram. Additionally, if a VPS workshop or the VPS Members’ Exhibition or Juried Show is in a venue within their hub’s region, then the SMA would photograph the reception and promote it similarly. So far, VPS SouthEast, SouthWest, and Upper Valley have embraced this idea with the other hubs moving in that direction. We have some savvy artists in every hub who understand FB and Instagram and have offered to be of help to their hub. Thank you for helping to make the VPS Social Media Team a reality! Whether it’s our state or the state of art venues in our state, Susannah has been finding out what previous Exhibitions Coordinators have found out–you can’t count on anything. One of the two venues that promised a 2018 show to the VPS changed ownership and is re-organzing the calendar year, and the other is withdrawing its offer. So we are looking for other places. Hub members have been asked to offer suggestions, so let Susannah Colby know if you have an idea. Also, as Exhibitions is becoming a bigger part of the VPS experience, and with the Members’ Exhibition becoming more of an event to promote and celebrate, the Exhibitions Team is looking for VPS artists who want to contribute to the effort in specialized ways–such as writing a press release, drafting a show summary for our website, etc. Please contact Susannah, by clicking on the blue link above, if you would like to join the team. Alain Picard’s workshop, April 23-27, in Bennington, VT, organized by Linda Masten (VPS SouthWest), will be a combination of portrait-making for 2 days and landscape-painting for 3 days,. Artists can take one or both parts. To date, there are 11 signed up, so register today! Karen Margulis’ Workshop, June 21-24, in Hyde Park, VT is being organized by Diane Szlachetka and Patti Braun (both from VPS Central). As it, too, already has 11 registrants, please sign up soon if you want to assure yourself a place! We are who we are from the inspiration, creativity and energy that you all give to our organization. Keep it coming, will you! Artists don’t talk about art. Artists talk about work…. Stop thinking about it as art. Think about it as work. Art is for academics. Art is for scholars. Art is for audiences. Art is not for artists. We’ve completed one show and one is currently hanging. Continue reading below for more details. I met, on Friday, September 29, with 2 of the 3 artists of the St. Johnsbury/Newport region, and we had a very productive discussion. Much of our time was spent on ways to enlarge the hub from three to six or seven members to make it a viable hub, but we couldn’t come up with any workable plans. It was decided to have the three artists join the existing hub they were closest to, which turned out to be VPS Central, until which time when more artists might join the VPS from that area in VT. Since my last newsletter, in the last three months, that is, we have had seven issues of Hub Happenings and a hub show being hung. The VPS really feels like a vibrant organization and very fun one to belong to. As the venue was small, only 29 paintings were able to be selected for the show, so these are really great pieces. Judge Doug Dawson, after concluding his workshop, traveled north to judge the show, and although he knows the five prize winners, no one else does. They will be revealed at the reception on Friday, November 3, 2017 from 5-7pm during Art Walk in WRJ. There will be a Best in Show, Second Place and Third Place awards, The Cape Cod Pastel Society Award, and a new award, The Mallory Lake Memorial Award. So please put it on your calendars and attend the reception–and see the show whenever you can as the hotel is open 24/7! Read more at VPS Website Exhibitions. Doug Dawson’s workshop was greatly successful, with 18 attendees. It made a sizable profit for our VPS, but more importantly, it generated a lot of enthusiastic discussions among not only the participants, but in at least two hubs where his ideas and problem solving approaches were talked about at length. Let’s give a big thank you to Jean Pollack for her organizational efforts in getting this workshop for the VPS. The agenda for the board meeting in White River Junction will include a summary of the financial health of our VPS, as well as discussions of upcoming workshops, exhibitions and planning for the annual meeting. Although this is a board meeting, any artist from the VPS can attend. As usual, we will divide our two hours into a business meeting for the first hour (or less) and a pastel activity for everyone in the second hour (or more). This will be something new and different, challenging and fun. We will send more information about what to bring with you closer to the date of the meeting, which is on November 5, 2017 from 2-4. We continue to grow and thrive from the creativity, inspiration and energy that you all give to our organization. Keep it coming will you! We have begun the process of regional hub-ridizing—three hubs have been formed and 4 more will follow in the coming months. We are unveiling a new feature on our Facebook page, which will offer artists a chance to see the painting processes that a variety of our member artists use. Sign up is underway and the deadline to register is fast approaching. These are great artists and great teachers, so sign up today! Susannah Colby has already sent out the invitation for the Members’ Exhibition. Remember last year’s Members’ Exhibition in Burlington? 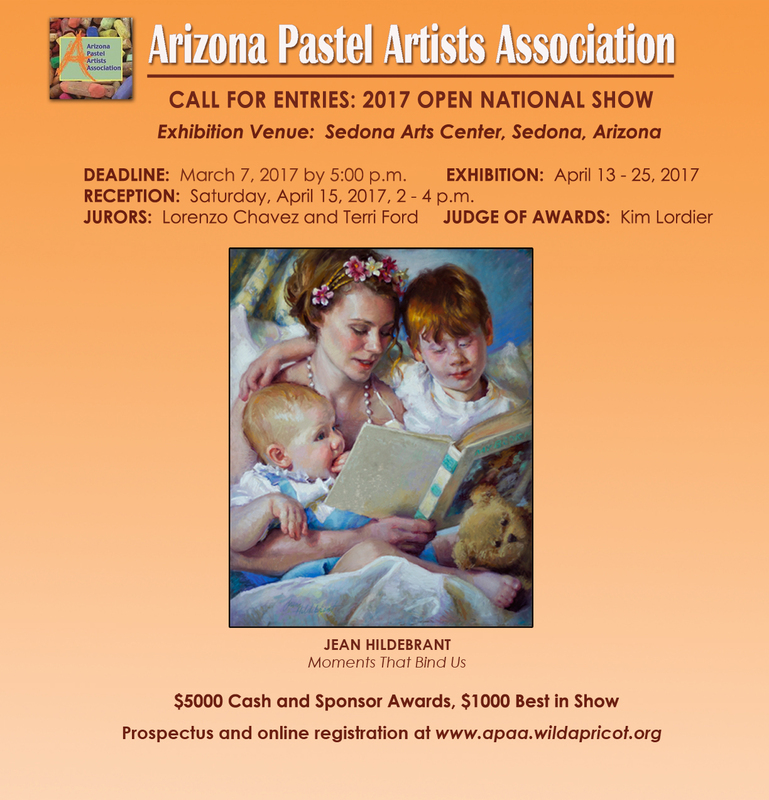 This year’s show will also feature prizes awarded for 9 different categories of pastel painting, so get your information to her now. Over the last two months, I have had the opportunity to meet with three groups of VPS artists in three different parts of our state, as we begin the process of forming regional hubs according to the proposal made at the end of last year. Not only did this provide me with the opportunity to newly meet many VPS members, but it showed me that the pastel art spirit is alive and thriving in Vermont. Three regions have had their first meeting, have adopted a name, and have chosen a point person or co-point people to facilitate their hub activities. They are VPS SouthEast in the Brattleboro area; VPS Central centered around Montpelier; and VPS MidState uniting the Middlebury/Rutland regions. Activities that their hubs want to engage in have been brainstormed, and interestingly, many are similar from hub to hub, but some are unique. Overwhelmingly, the response has been enthusiastic for regional hubs to allow members to gain that sense of community that comes with becoming part of the VPS. Carol Corliss, our Facebook editor, is going to be unveiling a new centerpiece for our FB page. Each month, she will feature an artist who is willing to take pictures of her/his work during the painting process and supply an observation about each of 4-6 images. That way, we can all get an idea of a member artist’s approach, mistakes that were made and corrected, or serendipities that occurred that changed the course of the painting for the better. After all, it’s all about the process, right? So please email her at carol@roehl-consulting.com with your interest, and/or send her 4-6 photos of a painting from start to finish, each image with one or two sentences explaining something special about that step in your creative process. THANK YOU FOR YOUR CONTINUED PARTICIPATION IN THE VPS! These are exciting times for all of us. 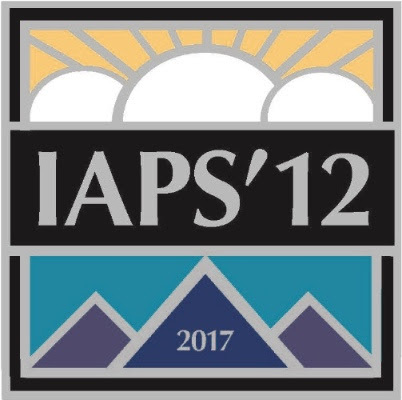 Both shows will take place June 7-10, 2017, at the IAPS 2017 Convention, Albuquerque, N.M.
Artists NOT yet members of the IAPS Master Circle, please enter the 30th IAPS Juried Exhibition – you may download the prospectus here. All Master Circle artists please enter the Fourth IAPS Master Circle Exhibition – download the prospectus here. 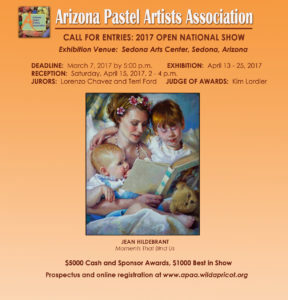 The entry deadline for BOTH SHOWS is January 26, 2017. All entries will be through www.onlinejuriedshows.com so visit that website to make your entry. Here is a link to the January 2017 International Association of Pastel Societies (IAPS). Enjoy. We are starting out 2017 with a couple of brand new features for the VPS: one you can see right now—the new VPS website—and the other will be appearing as the year unfolds—VPS Regional Hubs. As for the Regional Hubs proposal, keep reading! Stay tuned for details from Grace Cothalis and/or Maggie Smith as the time approaches. Our new Exhibitions chair, Susannah Colby, will be sending out notices so pay attention both to emails from our new Membership chair, Maggie Smith, and to the VPS website. We all have joined the VPS for one or more reasons. It may have been for access to workshops, opportunities to exhibit our work, having a web presence, etc. but right up there with any or all of those reasons is the opportunity to associate with other artists who share a love of pastels and to provide us with the opportunity to learn from each other—and teach each other—as we enjoy each other’s work. As artists, we, by and large, work alone. The times we can get together, during workshops or shows, for example, are few and far between. Geography and the relatively low density of artists limits our ability to associate with each other, and to achieve that sense of community that comes with becoming part of a society. Using the experience of the Vermont Watercolor Association, we have developed a proposal for regional hubs for our own VPS. The Vermont Pastel Society mission statement calls for us to build and strengthen connections among pastelists, to foster artistic development, and to promote public appreciation of pastels as a fine art medium. With those goals in mind, we have taken the membership roster, divided it up by ZIP Code, and assigned each member one of eight regions in which to belong. Our hope is that, by having a cadre of local artists congregating periodically, the feeling of being part of a pastel society will be realized. Over the coming year, we will introduce different portions of our proposal, lay out the regions, and meet with regional hub members to help begin the process of activating their regional hub. 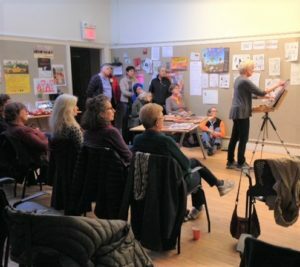 We had a wonderful meeting a couple months ago at the Center for Cartoon Studies in WRJ, highlighted by a presentation by photographer, Kent Scrivener, and a pastel painting of the figure demo by Aline Ordman. Please go to the website, search (upper right) for “Minutes” or go to the the About tab, then down to VPS Meeting Minutes to read it. THANK YOU FOR YOUR PARTICIPATION IN THE VPS! We’re looking forward to a thrilling ride this new year, so hang on to your easels, papers, and pastels!